This waterproof pendant is designed to be worn day and night, even in the shower. If it detects a fall or the alarm button is pushed a family member or other emergency responders are immediately summoned. 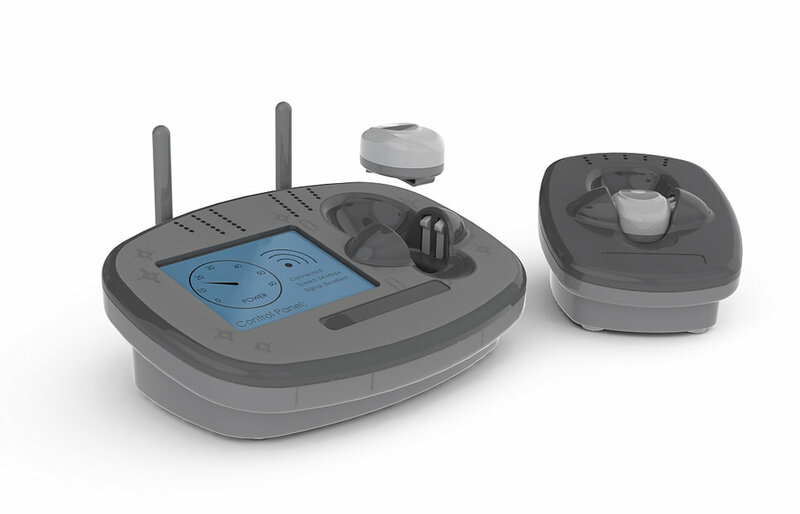 The charging base station makes it easy to program. It is very common for patients wanting dental implants to need additional surgeries to prepare the site. Bone loss and recession require that the bone be split and then grafting material be introduced. 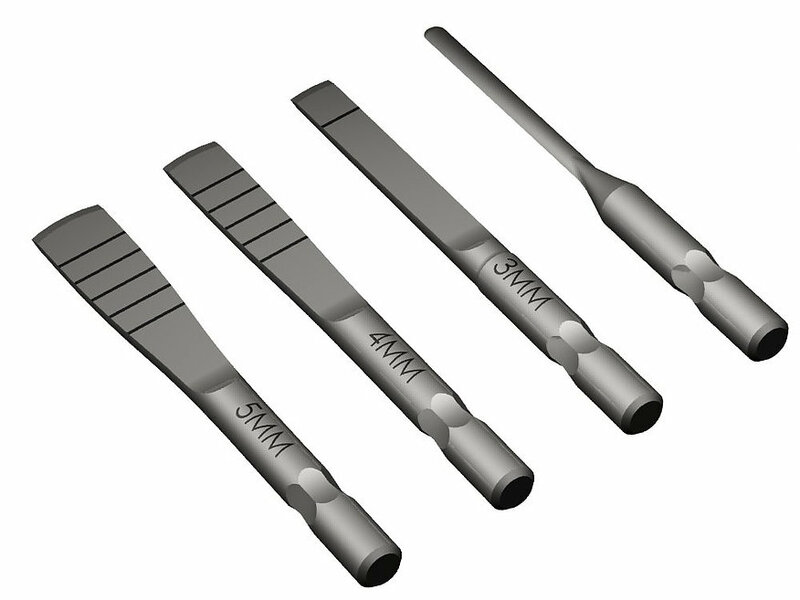 These custom blades with laser etched depth markings ensure precise ridge splits and successful grafts. Cleaning surgical equipment between operations can be time consuming and difficult. 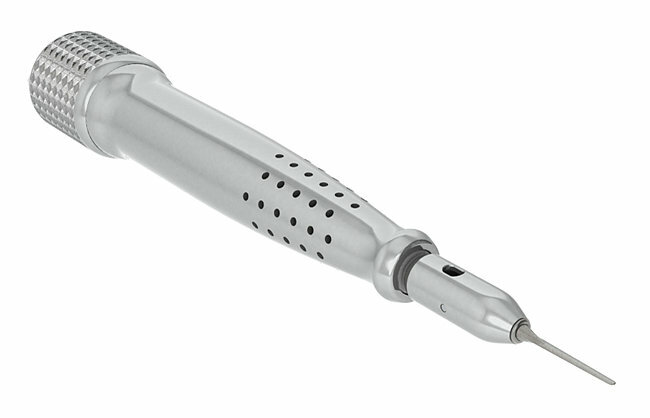 designPORT created this hand-piece that can be simply put in the autoclave while conforming to FDA and UL 6061 standards. 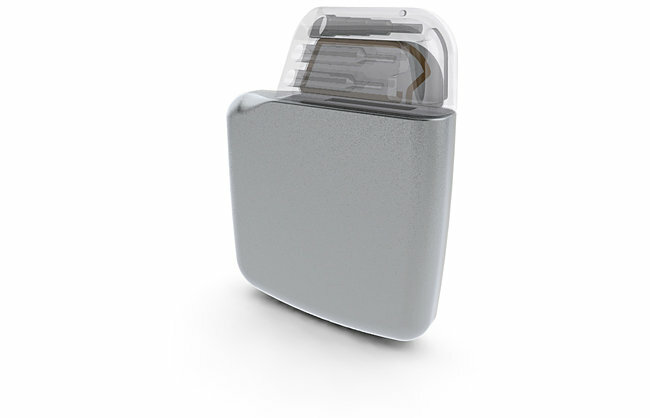 Now this exciting new technology is in the hands of leading veterinarians and oral surgeons and throughout the country! Our client needed a waterproof controller and battery pack. Despite regular exposure to caustic pool chemicals this workhorse performs day in and day out. An ergonomic design, a custom charging circuit and new lithium nano-phosphate battery cells provide chiropractors with a sleek tool for relaxing seized back muscles. Making it easier to demonstrate a treatment makes it easier to teach. 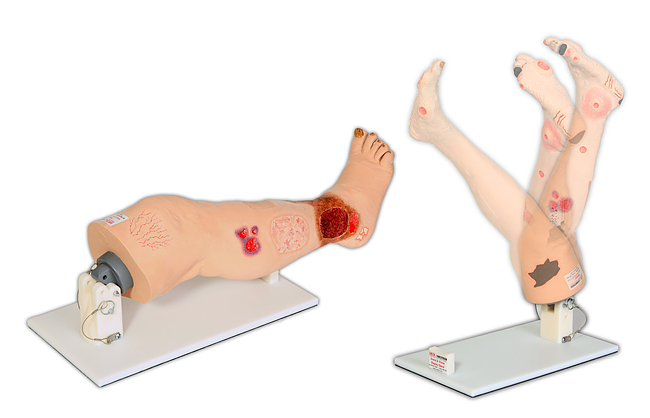 With that in mind, we created a display stand that allows a training-leg to be easily oriented for visibility and locked in place, allowing the user to focus on demonstrating the procedure, not handling the dummy. 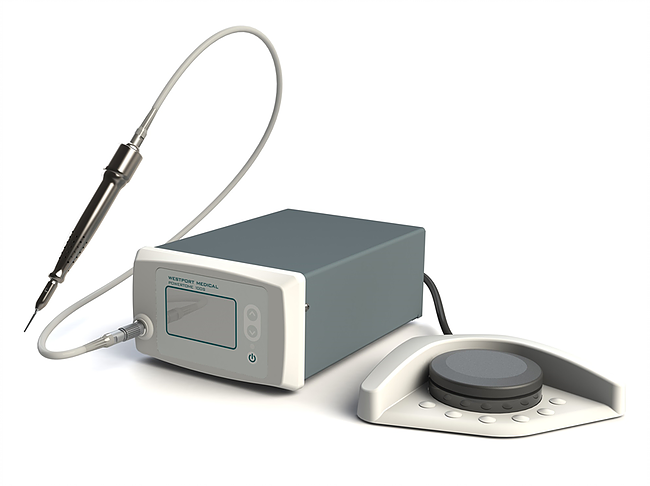 This Class II, 510K surgical unit can be used on patients under anesthesia. 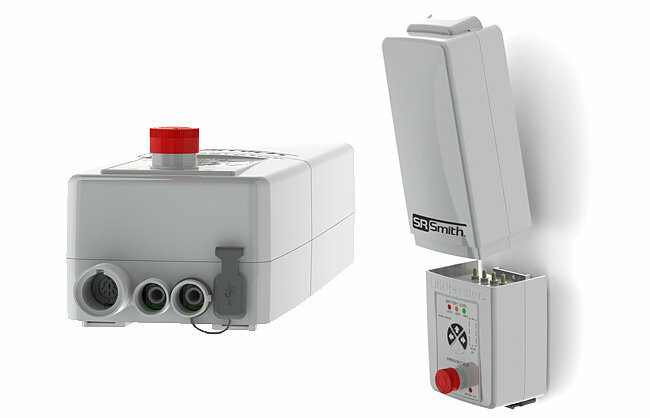 To ensure single fault tolerance ground loop isolation protection is built in. 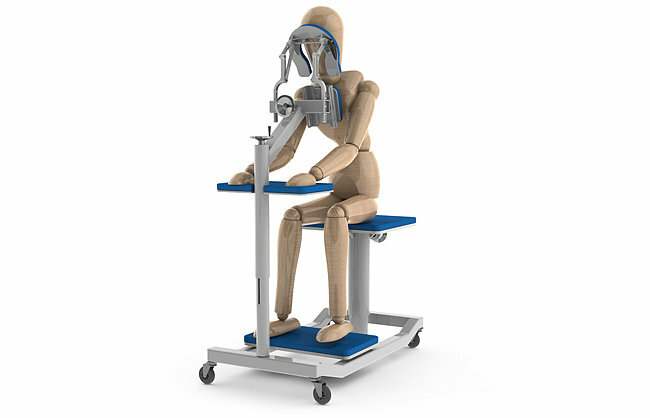 Human models placed into assemblies ensure that people of all sizes will fit. To make patients comfortable before surgery, it often helps to let them hold and become familiar with their defibrillator. To avoid risking expensive equipment, our client wanted to create exact replicas. Through precise 3D modeling, we were able to create a geometrically identical unit with the same center of gravity and weight to within a gram on the first shot. Even the doctors were fooled. We developed a means to create platelet rich plasma to be re-injected into the blood donor to accelerate healing. ​Researching the current state of the art in centrifuge tubes designPORT uncovered opportunities to improve upon what competitors were offering. 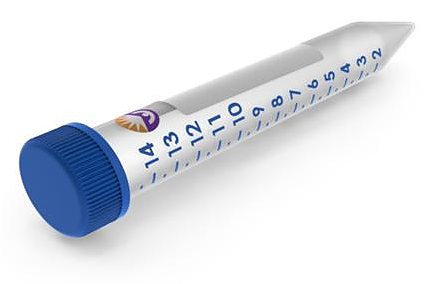 Using advanced 3D modeling techniques, designPORT was able to create proprietary threads as well as molded volumetric markings with incredible accuracy and quick market acceptance. for a long service life despite regular chemical exposure. and validated positioning of a potential patient. This product serves to position patients for epidural procedures, making posture and comfort absolutely essential. Soft tissue gunshot and shrapnel wounds were difficult or impossible to stop the bleeding until now. 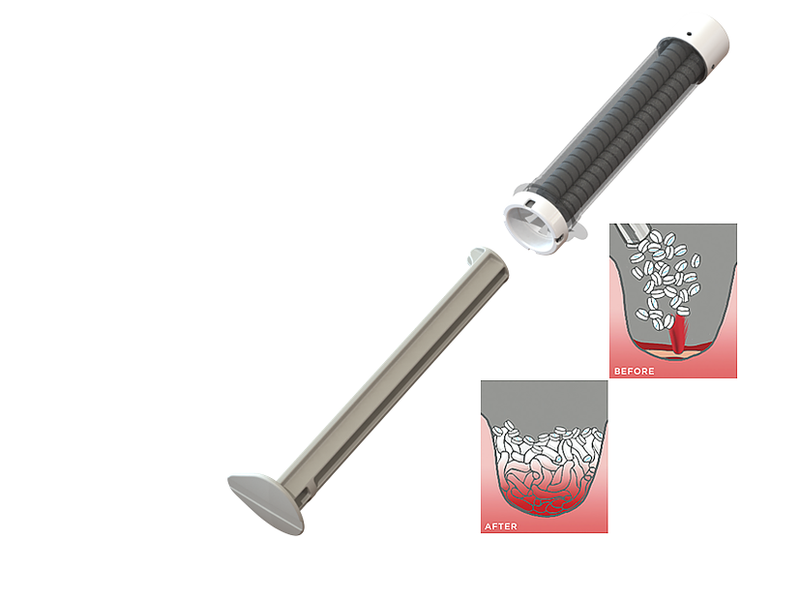 The simple applicator and self expanding sponges stop the bleeding in seconds. 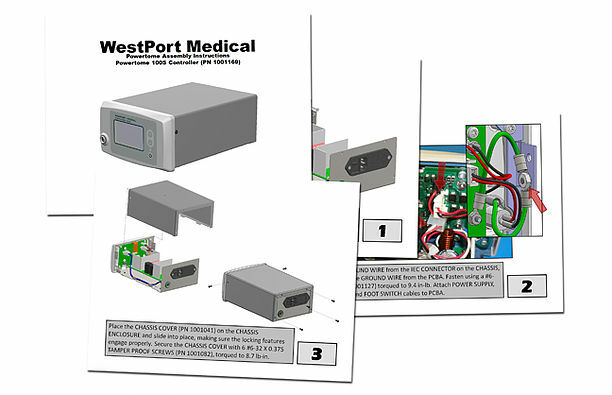 Assembly and inspection procedures for medical devices require methodical documentation and verification. To support this designPORT used large color images from CAD models along with photographs to create detailed instructions outlining assembly, inspection and safety procedures for the entire product line Obvious color coding and other visual cues were used to ensure proper execution by assembly line workers. Researching the current state of the art in centrifuge tubes designPORT uncovered opportunities to improve upon what competitors were offering. 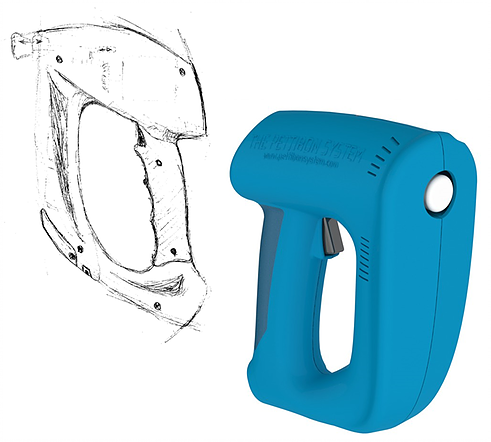 Using advanced 3D modeling techniques, designPORT was able to create proprietary threads as well as molded volumetric markings with incredible accuracy and quick market acceptance.